The Rohingya boat people crisis must be addressed at its root. 10,000 boat people left their home country in the state of Rakhine, Myanmar because they were rendered stateless, systematically oppressed and even murdered through state-sponsored machinery. This is a gross violation of the universal principles of human rights by the Myanmar government. The instigation of hatred and racism masked in religious terms where Buddhists were incited to go against Muslim Rohingya is most deplorable. This proves that religious terrorism comes in all forms and for those who previously condemn terrorism in the name of Islam should now also similarly condemn terrorism in the name of Buddhism or Christianity or any other religion. Otherwise they will only be exposed as hypocrites with hidden agenda. In the midst of this crisis, Rohingya youth are affected the most. It is universally accepted that young people are the future of the country, but today, Rohingya youth not only are prevented from participating in nation-building, they are actively being persecuted and chased out of their homes. 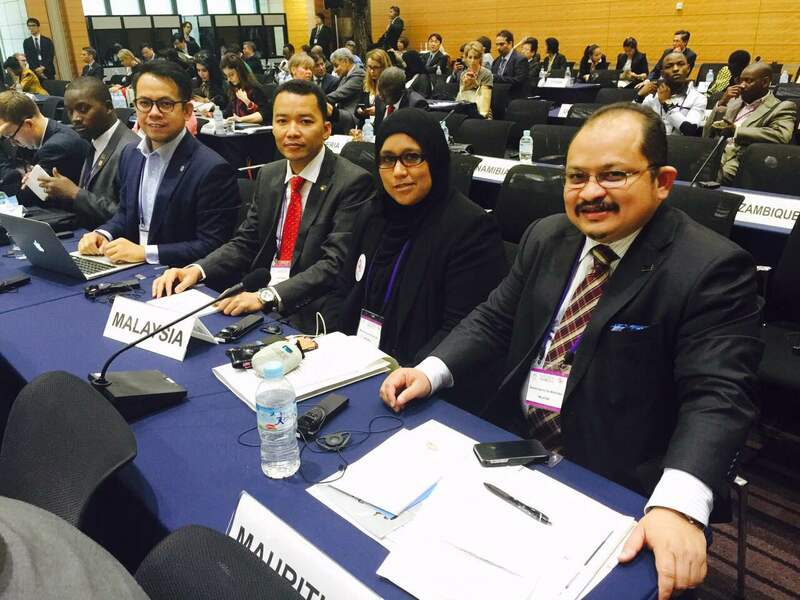 Hence, we, the Malaysian representatives at the Inter-Parliamentary Union Global Conference of Young Parliamentarians in Tokyo, call for a coherent and global response towards addressing the plights of the Rohingya. While we commend the governments of Malaysia, Indonesia, Thailand and the Philippines for their humanitarian outreach to the Rohingya boat people, we are of the opinion that more should be done. The world must unequivocally condemn the genocide of Rohingya by state and state-sponsored actors in Myanmar. The government of Myanmar must be brought to justice for its crimes against humanity. However, this coherent and global response must not only stop and punish those who commit genocides. Any intervention must include a concrete commitment to prevent it from happening in the future. Thus, we also urge our fellow MPs especially those from Asia and South-East Asia to promote a “Genocide-Free Zone” in order to establish a region which is dignified, harmonious, safe and peaceful for all humanity.